I absolutely love these keto-friendly fat bombs! The recipe comes from Real Balanced. I have been sort of tolerating other fat bomb recipes. I’ve never really tasted one that I can rate a “10”. These almond butter fat bombs come close. The combination of almond butter and coconut oil makes this recipe a winner. Sweetened with Lakanto’s classic monkfruit sweetener, you will never miss the sugar. Almond Butter. Almond butter is an excellent source of good fat, Vitamin E, magnesium, potassium, protein and fiber. Almond butter also has a low-glycemic index which is great for keto dieters. I buy almond butter in bulk at Whole Foods. It is a staple in my kitchen. Coconut Oil. A great source of good fat, I use Nutiva’s Coconut oil for most of my baking. MonkFruit Sweetener. My go-to Monkfruit sweetener is from Lakanto. They have a nice variety of sweeteners that are great for baking. Unsweetened Chocolate Chips. I have really learned to love unsweetened chocolate chips and have fallen for PASCHA Organic Dark Chocolate Baking Chips which are 100% cacao. This recipe calls for pouring the batter in an 8×8 pan. I used parchment paper baking cups instead. This made them super easy to grab right out of the refrigerator, and I didn’t have to fuss with cutting them in bars. These keto treats disappeared quickly! My husband, who has a sweet tooth and doesn’t do keto, loved them. So did my daughter. These are no-bake treats so they are super easy to make. Enjoy! I love making keto fat bombs. These keto chocolate fat bombs are loaded with healthy fat and make a great keto dessert or snack. I typically make a batch and store them in the refrigerator. Before eating, I typically bring them a little closer to room temperature so they are delightfully soft and basically melt in your mouth. The fat that is used for these keto-friendly treats is mainly butter (from grass-fed cows) and organic cream cheese. There are a few recipes out there that use coconut oil or manna and you can try substituting the butter from coconut oil to see if it suits your taste. I find that the butter gives the fat bombs are butter cookie like taste which I love. I use Lakanto Monkfruit sweetener. It is keto-friendly with zero calories and bakes and tastes just like sugar with no insulinogenic effects on my end. Everyone is different so you may want to substitute Monk Fruit for stevia or another sweetener that is keto and baking friendly. I never thought about using raw butter to make fat bombs. You might be thinking “yuck” since this is a no-bake treat, but let me tell you – the butter makes these fat bombs delicious. And why not take advantage of getting some grass-fed, organic butter in your diet? Cows that eat grass, as opposed to grains, produce all sorts of good things such as omega-3 fatty acids, fat-soluble vitamins minus all the bad stuff that is typically in regular butter such as toxins, added hormones and antibiotics (grain fed cows are often sick). There is also evidence to suggest that grass-fed butter may protect from you from cardiovascular disease. The chocolate used for the keto fat bombs is Guittard. It’s delicious! Guittard has been making chocolate for five generations. They combine generation-old techniques with innovative blends and approaches to craft their premium chocolates. Their 100% cacao baking bar is used for these keto fat bombs. The dark chocolate bars are unsweetened and have a distinct liquor that delivers flavors of fruit and spices amidst deep base chocolate. Put the cream cheese and butter in a bowl and soften in the microwave for about 30-45 seconds. Melt the chocolate in a separate small bowl in the microwave. Combine all ingredients along with the Lakanto Monkfruit sweetener and heavy whipping cream. Mix using a hand mixer. Scoop into large baking cups and sprinkle with shredded coconut. Refrigerate for 45 minutes and enjoy! Ketoreos. Keto Red Velvet Cake. Keto Peppermint Patties. Shall we go on? Okay! How about Keto blueberry scones and chocolate keto donuts? Keto Fridge has it all. There is a minimum order of $69.00. Your goodies will be prepared fresh the day prior to your order to ensure maximum freshness upon arrival. Baked goods stay fresh for up to 7 days when stored appropriately and can be frozen up to 2 months. Keto Fridge delivers to the entire US. Keep in mind that goodies are shipped and delivered the following week your order takes place. There is also a 2-day delivery option when available. BONUS – get 10% off your first Keto Fridge order. Just grab the code here. You’re welcome! Believing that food is nourishment for the soul as well as the body, mother/daughter duo Anne and Taylor we went to work creating new recipes and re-creating old family recipes. They have a great selection of keto desserts and goodies including Keto Pecan Pie, Keto Dark Chocolate Silk Pie, Keto Chocolate Cupcakes and Keto Pumpkin Pie. Goodies are shipped via USPS or UPS. Paleo Bakehouse is a baking company specializing in sweet treats with a short list of whole ingredients. All of their products have a base of eggs, almond flour, honey and coconut oil. The shelf life of their goodies, in their packaging, is 2 weeks. This can be increased by refrigerating/freezing them (which they recommend). Paleo House offers a delicious Keto Cookie and Donut bundle that includes six Lemon Coconut Cookies and six Cinnamon Sugar Donuts (Keto version). Each treat has 4 net grams of carbs. If you don’t mind mixing up a batter of cookie dough or brownie mix, here are some great keto-friendly readymade mixes that can help you make desserts quickly. All can be delivered to your home. Hurry and order so you can get this before Christmas! Keto and Co hired a professional pastry chef to create these Fudge Brownies that are dark, moist and low carb. With just the right amount of sweetness, they are super easy to make. Good Dees has a great selection of cookie, brownie and blondie mixes. Good Dee’s Blondie Mix makes 12 yummy blondies with only 1g net carbs per slice. Incredible flavor and gooey texture without all the added sugar or carbs. Perfect for keto diets. Lakanto Brownies are sweetened with Monk Fruit, a zero calorie, zero glycemic index sweetener. Lakanto Brownies are the perfect combination of everything you’ve been craving: deliciously cake-like, with to-die-for fudginess. 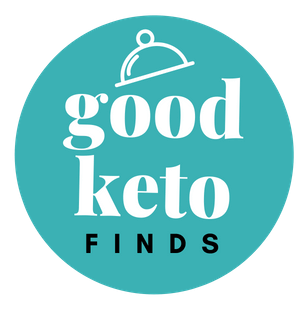 We think this is only the beginning of this list, so make sure to bookmark this post (we will keep it updated) and sign up for our eNewsletter to learn about more good keto finds. Ever think about a keto meal delivery service leaving the planning and preparation to a team of professionally trained chefs? It saves time, reduces the fuss over portion/macro control and, depending on which plan you choose, it might save you money. Keto Fridge is a meal delivery service that has curated different keto-friendly meal plans for breakfast, lunch, and dinner. Step One – Browse Keto Fridge website. Create an account and begin selecting meals, desserts and even baked goods. Step Two – Complete the purchase and Keto Fridge ships your meal to your doorstep. Your meals arrive freshly prepared on a weekly basis. Step Three – Unwrap the packaging and heat your meal. Follow the instructions as directed by Keto Fridge experts. Keto Fridge features meals such as pumpkin spice cheesecake pancake bites with sous vide egg bites and chicken apple sausage, chicken parmesan sandwich on a KeDough roll and keto peanut butter cups. They also have keto pizza, keto pizza crust (3-pack) and a nice selection of baked goods. Looking for Keto meals prepared using grass-fed and non-GMO ingredients? Well, you are in luck. Factor75 is one of the best keto meal delivery services offering nutritious, convenient and delicious meals right at your doorstep. Step One – Visit Factor75 website and start picking your meals. You can select from the weekly rotating menu full of nutrient dense meals. Step Two – Select a suitable plan that works for you. There are five plans to choose from. Plans start at four meals with the best value being 18 meals a week. Step Three – Once you complete the purchase, your meals get delivered cooked from scratch by professional chefs. The meals are not delivered frozen but fresh! Step Four – Heat your meals in the microwave or oven and enjoy! Factor75 meals include blueberry pancakes, buffalo chicken breast or broccoli parmesan frittata cups and honey rosemary chicken or steak with sweet potato fries. If you want to enjoy a delicious variety of well-prepared meals from premium ingredients, then Green Chef is the best food delivery for you. With an option for Keto diet followers, Green Chef prepares all meals with organic ingredients. No GMO foods. All ingredients come measured and ready to cook. Step One – Select your meals. For Keto diet followers, you have the option of selecting meals that meet your low carb lifestyle. They are also gluten-free. Step Two – After selecting meals, select your subscription plan and delivery day. Meals are delivered to your home based on a selected schedule. Step Three – Since all the ingredients come pre-measured and ready to cook, all that remains is for you to follow the recipes. It takes less than 30 minutes to prepare most meals. Step Four – Once the food is ready, just serve and enjoy. A few Green Chef Keto meals include seed-crusted chicken, Philly stuffed pepper, and Greek lemon-basil tuna steaks. Founded by Bryan Charles and Paul Winberry, Ketoned Bodies is a meal delivery service specializing in the healthiest, tastiest and most powerful keto meals. The secret to Ketoned Bodies has always been high-quality ingredients and integrity. For humane and health reasons, Ketoned Bodies does not use meat from factory farmed animals. All meat is sourced from 100% grass fed animals. Step One – Place your order by selecting from the Ketoned Bodies well-curated menu. The menu has a keto meal plan. Step Two – Meals are delivered right to your doorstep after purchase. Meals are delivered frozen and no preparation is required. Just heat in the microwave or oven and enjoy. Step Three – All Ketoned Bodies keto meals come in oven-safe containers. This makes it possible for you to reheat the foods when you desire. Ketoned Bodies meals include ribeye and bacon butter brussels, white pasta-less lasagna, and Keto scramble with sausage. As a longstanding meal delivery company, Diettogo focuses on providing healthy meals at affordable prices. With a goal of helping people establish a healthy eating lifestyle by making smart food choices, Diettogo offers hundreds of meal options. With access to the best chefs and USDA approved kitchen, all meals are nutritious and of high quality. Step One – As a new customer, simply input your zip code to find out your delivery options. There are two – home delivery and local pickup. If you are a previous customer, sign in to start selecting your meals. Step Two – Select a plan. Choose Keto Carb30 if you are following a keto diet. Step Three – Complete the checkout process by adding your delivery details and making the payment. Step Four – Meals are delivered to your doorstep or can be picked up at a convenient location. Started by Chef Richard, a Paleo meal delivery pioneer, True Fare is a healthy meal delivery service. It expanded from pre-made Paleo meals to Whole30, Ketogenic and AIP diet plans. To ensure customers are able to maintain a healthy lifestyle, Chef Richard and his team continuously innovate new meals and menus. Step One – To order from True Fare selection of low carb keto meals, visit the website and select the keto meals options. Step Two – From the available menu of low carb breakfasts, keto meals and vegetable sides, select the meals you desire. You will notice that the meals are bundled together. This is done to provide you with a budget-friendly meal plan that meets your needs. Step Three – Complete the payment and your meals are delivered right to your doorstep. Heat and enjoy! True Fare meals include keto buns, grass-fed beef burgers and Italian chicken salad with organic grown zucchini and squash. Have you tried any of these keto meal delivery services? Let us know! So I’ve been swooning over all these lovely smoothie bowls I’ve been seeing everywhere (they look delicious) but their nutritional content turns them into carbohydrate and sugar-laden pits of insulinogenic mayhem. I wish more people knew the truth about fruit. No thank you. I’d rather eat a candy bar because that is what most fruit is to me. Candy. So what is a girl to do when making a smoothie bowl? I am never fearful of mixing things up a bit and make my meals a little unconventional. Here’s a spinach almond, macadamia “smoothie” bowl I made today. Very simple! Just microwave 3-4 cups of spinach for about 3 minutes. Take the spinach out of the microwave and toss it around until it softens and forms a nice loaf. Spread 2 tablespoons of almond butter to next the spinach. Drizzle liberally with macadamia oil. Add 1/2 bag or so of Whisps Cheese Crisps. Done and yum! This “smoothie” bowl is loaded with good fats (macadamia oil and almond butter). The cooked spinach has about 839 mg of potassium which is essential for maintaining fluid and electrolyte balance while eating keto. Your body may not ever miss the fruit. This keto-friendly, low carb cauliflower broccoli salad is a family favorite. My aunt used to make it. It was one of her favorite casserole recipes. My mother used to make it. It was one of her favorite side dishes. Both had different prep methods. There are many variations for this recipe. It is one of my favorite keto-friendly, low carb dishes. The one thing that makes or breaks this dish is the mayonnaise. Mayo and salad dressings made with canola and soybean oil are extremely inflammatory due to over processing. I steer clear of anything inflammatory. I love Primal Kitchen’s line of salad dressings and mayonnaise which are made with non-inflammatory healthy fats. They have a great avocado oil-based mayonnaise that tastes great with this dish. Enjoy! A delicious keto-friendly, low carb, high fat salad made with raw cauliflower and broccoli. Cook 6 pieces of bacon and crumble in small pieces. Dice thoroughly washed cauliflower and broccoli. Combine cauliflower, broccoli, shredded cheese, mayo and sour cream. Mix together. Stir in crumbled bacon. Mix. Done! It tastes best when chilled for a few hours. This recipe for Lazy Keto Crockpot Chicken is way too easy and way too delicious! You’ll want to keep the recipe to yourself! Cake! Who doesn’t love cake? Weddings. Birthdays. Anniversaries. Cakes have been in the center of life celebrations for centuries. The word “cake” is of Viking origin and derived from the word ‘kaka”. Ancient Greeks would bake cakes using flour, eggs, milk and honey. Romans baked cakes on a pastry base and called “placentas”. Interesting. Cakes have been around a while but so have the white flour and sugar in most traditional recipes. And that doesn’t include the frosting. What is a Keto eater to do? It’s not that difficult to make a keto-friendly cake. Here are five keto cake recipes that will have will allow you to have your “kaka” or “placenta” and eat it too! I found this delicious keto carrot cake at Fittoserve Group. The website owner, Hilda Solares, was led to keto during a healing journey from Guillan Barre Syndrome, fibromyalgia and chronic sciatica. Hilda had been tossing around the idea of transforming an old carrot cake recipe into a low carb option and created this gem. Her recipe may be a little bit higher in carbs but can be safely added to a keto diet when monitoring daily carb intake and macros. The cream cheese frosting uses full fat cream cheese, unsalted butter, heavy whipping cream, and a sugar substitute. Hilda recommends Swerve. Thank you, Hilda! See the recipe. Pound Cake is really easy to make and very simple to make keto-friendly. There are a lot of keto pound cake recipes out there. You’ll love this one I found at Hey Keto Mama. Sam is the website owner and started keto as part of a spiritual transformation and the desire to improve her physical health. Sam reminds us that an entire traditional pound cake has a whopping 450 grams of carbs? For some of us, that is enough carbs for three weeks! Sam’s keto-friendly pound cake has 239 calories and 5.23 net carbs per slice. Thank you, Sam! See the recipe. I found this gem at Certainly Keto, a blog run by April and Michael who are on a mission to spread the word about the wonders of keto eating. Just after one year eating keto, April lost 75 pounds and Michael lost 45 pounds. A couple for over 25 years, they claim to be healthier than ever. The love of baking and learning new ways of cooking led them to create this scrumptious keto-friendly red velvet cake recipe. Thanks, April and Michael! I can’t wait to try it. See the recipe. Grab your bulletproof coffee and bring breakfast back with a slice of this Keto Coffee Cake! Sarah at Real Balanced created this keto-licious recipe made of wholesome ingredients. Sarah follows a ketogenic diet that is paleo/primal-compliant that cured her sleep and GI problems. Sweetened with monk fruit, the coffee cake is made with coconut flour and is entirely nut free so it’s great if you have a nut allergy. Thank you, Sarah! See the recipe. Keto Chocolate Cake – skip the prep and get it shipped! It doesn’t get any simpler or yummier than this. Fry up a grass-fed ground beef patty, melt your favorite cheese on top and serve in between two portobello mushroom tops. You’ll never miss the bun!